Sawtooth guitars are the best value in electric guitar design. 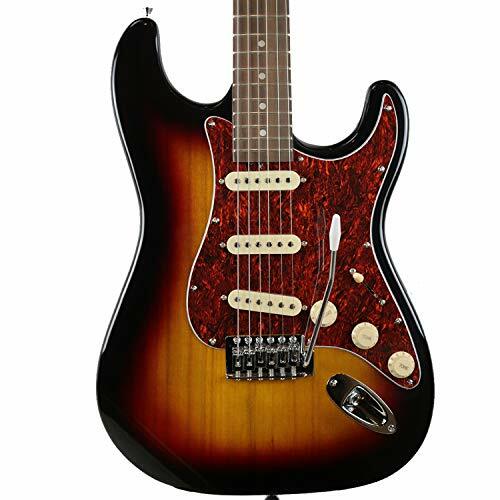 These highly versatile electric guitars offer solid tone, classic styling and are suited for all styles of music. Crafted to give you a great-sounding, sleek-looking, easy playing electric guitar with a vintage vibe. These guitars are perfect for any student, beginner or aspiring musician and will also meet the approval of a seasoned guitarist. Sawtooth guitars come with built-in upgrades, like – 3-ply pickguards, chrome tuners, upgraded Truss rod covers, nuts, and knobs. All guitars come with tremolo system.